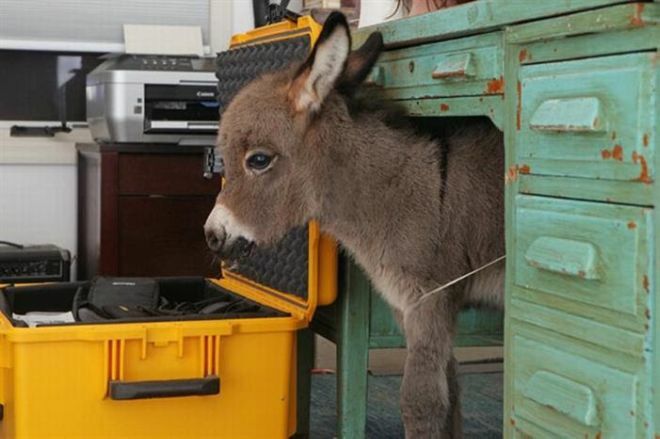 I’d never heard of miniature donkeys before. When I saw them for the first time, my heart almost burst. I immediately wanted to adopt a herd. The more I learned, the more they won me over. These adorable animals are not only practical sized, but loving and hard-workers. 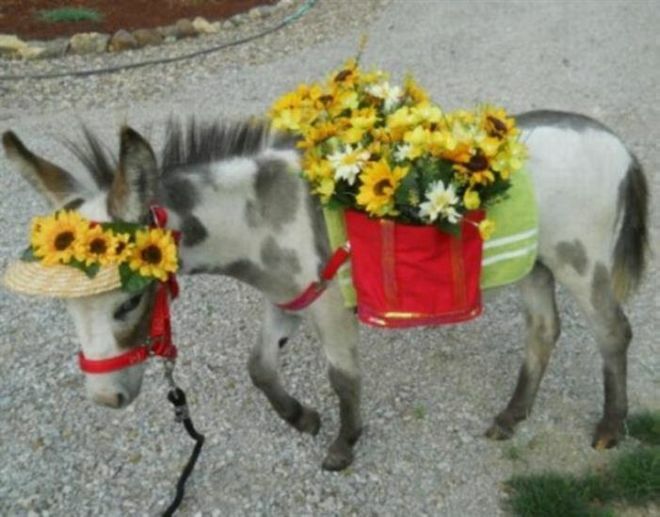 Not to be confused with baby donkeys, miniature donkeys are a distinct breed. In their native Sicily and Sardinia, they are not considered miniature. 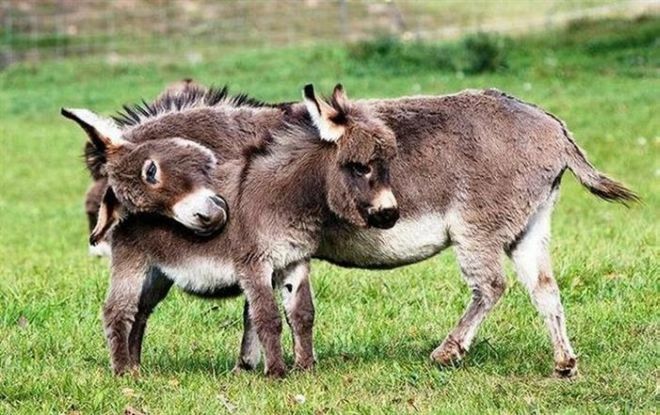 Miniature donkeys are both loyal and affectionate with humans and other animals. They have lovely natures: they’re kind, lovable and docile and because of this they are often kept as pets. 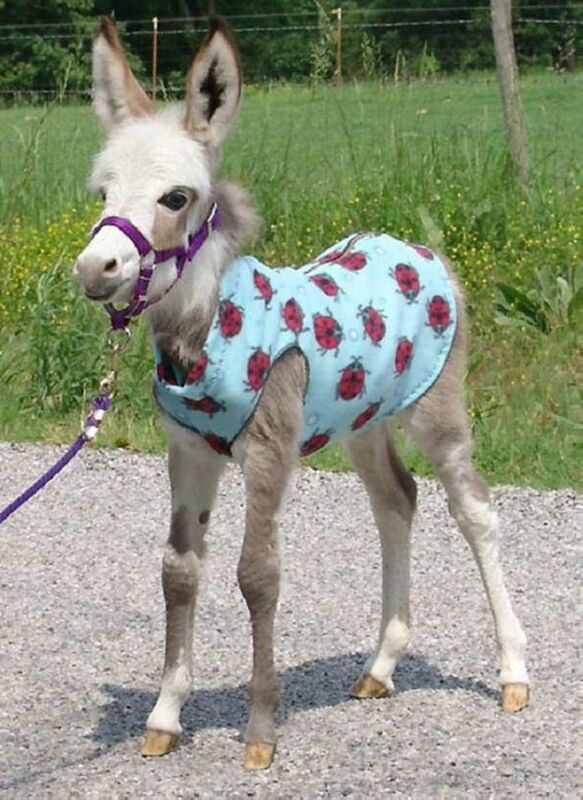 At birth a miniature donkey weights 15-29 pounds (7-13 kg). A fully mature miniature donkey will grow to be between 32 and 36 inches tall. (80 – 90cm). 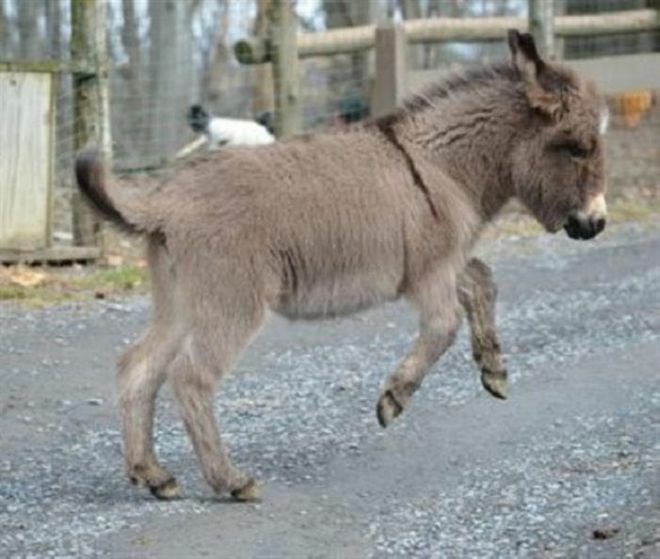 Like other donkeys, mini donkeys are herd animals. They thrive by living with other donkeys – mini or otherwise. 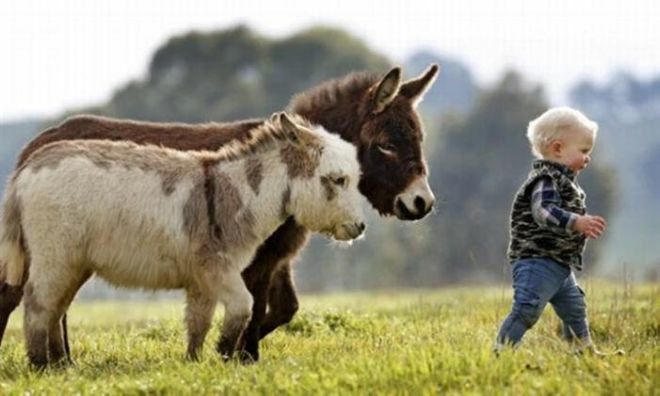 These small statured donkeys are equally capable workers as regular sized donkeys. By 3 years old, they can carry a pack or pull a cart.